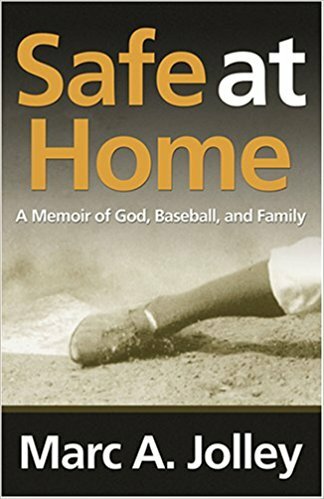 Marc A. Jolley, Safe at Home: A Memoir of God, Baseball, and Family (Macon, GA: Mercer University Press, 2005), 139 pages, a few photos. This is a delightful book in which Jolley recalls childhood memories with his father on up to the time he became a father himself. Jolley links these life transitions together with his love of baseball and his growing faith. Like baseball with more strikeouts than home runs, Jolley’s story contains sadness along with joy. There’s the time he failed to make his high school team. 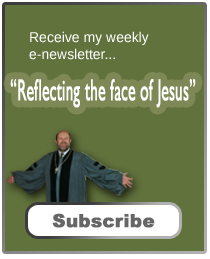 Then there are the casualties experienced by those, like Jolley, on the sideline during a political battles between fundamentalists and more moderate members of his denomination (Southern Baptist). These were tough times to be in seminary as Jolley completes his MDiv and PhD. Jolley also deals with depression. Through it all, Jolley is supported by parents and wife. In the end, Jolley discovers that family is the medicine needed to help keep his depression under control. As a white Southerner, I have never understood fellow Southerners who root for the Yankees. As a child, it was always St. Louis and then Atlanta, when the Braves moved there. The Yankees were despised. I recently learned this was also true of many African-Americans in the South (at least in the 50s). I would have thought they would have seen the Yankees as liberators (a good thing), but the New York Yankees was one of the last teams to integrate. Instead, African-Americans were drawn to the Dodgers, who brought up Jackie Robinson to break the color barrier in baseball. That said, Jolley and his father were Yankee fans. He describes entering Yankee Stadium with his son to watch their first game with the details of an architect entering a cathedral. Reading about this trip, I was excited for him. I was almost as excited as I was three years ago when I saw my first game at Yankee Stadium. Like his son, a Diamondback fan who rooted against the Yankees, I attended a Yankee-Detroit cheering on the Tiger’s. Baseball has a way of bringing people together and providing a good time even though in my game it rained and the Tiger’s lost by 12 runs. Jolley’s father’s love for the Yankees’ was tested when they pick up Reggie Jackson as a free agent. His father couldn’t stand Jackson saying he had no respect for one who bragged about himself and talked bad about others. But Jackson, Mr. October, backed up his loud mouth with homeruns. Sadly, Jolley was never able to attend a game at Yankee Stadium with his father. When he was able to take his own son, his father was in a nursing home. But his smiled and enjoyed the stories when he heard about the trip Jolley took with his son. Fascinating to learn more about baseball teams and racial integration. I’m not a huge baseball fan, but I do enjoy going to a game when the weather is nice and having a beer and hot dog. It can make for a very pleasant afternoon. This goes on the TBR for sure. Thanks Jeff!